My friend Alex found this thing called Taste Film where you watch a film and eat a meal based around it and thought it would be right up my street. Since then I’ve been to the Charlie and The Chocolate Factory evening where you eat edible wall paper and get a real life wonka bar! I’ve also been to watch Bridget Jones’s Diary where you get to eat Bridgets mums infamous turkey curry and blue soup while watching the lovely Colin Firth on the big screen. I emailed Amy, the founder, to say how much I enjoyed it and we’ve stayed in touch on social media ever since. She took her two passions for film and food and turned it into the successful business it is today which I think it totally inspiring. How did Taste Film come about and what’s the story behind it? 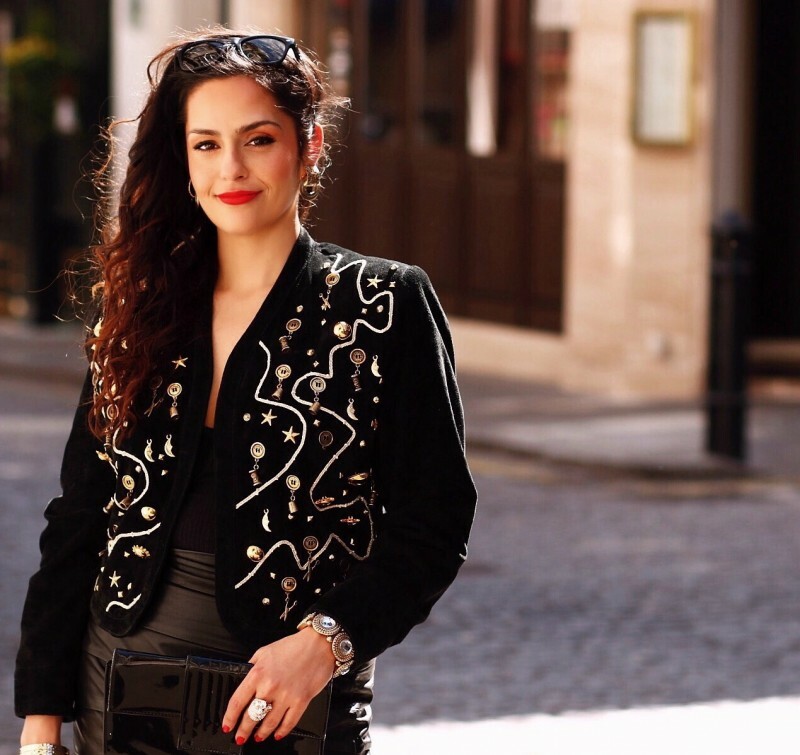 Taste Film came about in a few ways… Firstly I wanted to fill the gap for thirty-somethings (like myself) who have grown out of clubs but want something a little bit more than dinner. I also wanted to fuse my two favourite past times – food and film – and knew I needed to create some kind of unique experience which people hadn’t had before. So, one day I was watching Goodfellas and the step by step instruction during the prison scene for the perfect Marinara sauce made me wish I could smell and taste what I was seeing and hearing – thus Taste Film was born. What are the best bits about Taste Film? 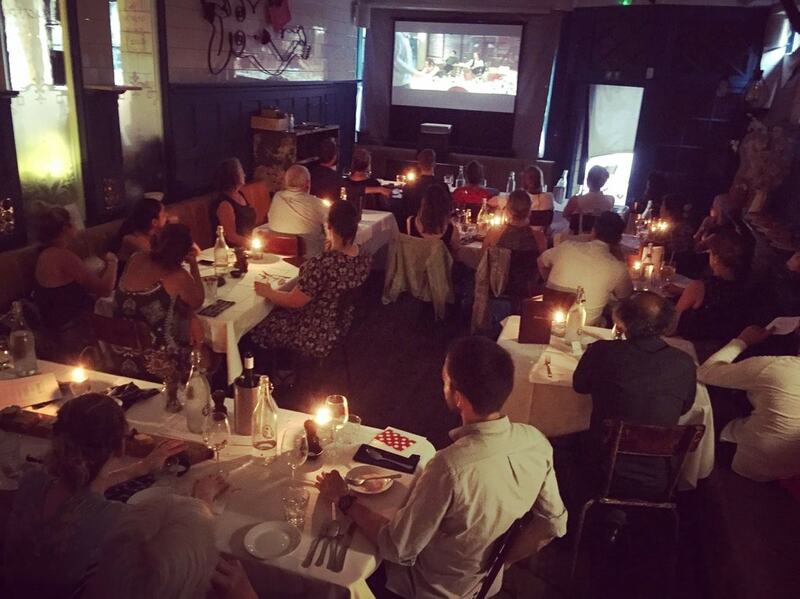 Taste Film makes me feel especially proud when we serve guests during a screening and see their reactions to our interpretations of their favourite film moments. Seeing my intention of providing guests with a new way to enjoy their favourite films come to life is priceless. I also really enjoy the planning stages for each screening. Any excuse for me to watch all of my favourite nostalgic films is wonderful and then working with the chef to come up with something magical is so much fun. Do you/have you faced any challenges in the business? Time. Lack of time is the primary challenge I face with running my own business. I already have a full-time job as Head of GCSE in a college so my time to nurture Taste Film is limited. I try not to see this as additional work but rather as a creative outlet and I enjoy it so much so that’s comforting when I’m totally exhausted. In terms of the running of the business, I struggle with the majority of the administrative duties and am learning stuff everyday. I also sometimes feel like I am winging it (because I am!) so try to read as much material on business start ups as I can. This is tricky but achievable if I look after myself. Last September, I started exercising in the mornings before work to set me up for the day and I cook in bulk on Sundays. If I keep active and don’t eat my feelings, then I can function quite well! I socialise at least one a week and try to separate Taste Film work/research from other things. It can be easy to combine both, but if I do, I feel like I never truly relax. I love eating out and also enjoy cooking new things at home. I love anything film related and will drag anyone who is willing to the cinema whenever I can. I’ve also taken to going to the cinema on my own of late which for me is the best way to relax. I also still love to go out and takeover the dance floor whenever I can, despite the dreaded after effects, it keeps me sane and makes me remember the importance of having guilt-free fun once in a while. What advice would you give someone else opening up their own business? Most importantly, and this is perhaps an obvious one, I would advise them to do something they love. Following the crowd and doing something which we think will be the “next best thing” is pointless and has no longevity. You can’t sustain or find motivation for something you do not naturally love. The and the passion you have for it will give you that motivation and encouragement when you need it most. I would also advise them to look for a super niche. It’s not possible to target and appeal to everyone so you need to narrow it down to a specific demographic whom you know will appreciate what you’re doing, and look after them. Becoming an ‘expert’ in something you are passionate about has far more appeal than creating something for everyone. I would also advise people to use all of your resources. It’s surprising to see how many people are willing to help you and it can be so easy to try and do it all yourself. Learning to delegate is key. I can’t do everything and I don’t have the skillset to but there are people around us who can and it’s worth paying out to get a better job done. ‘People Per Hour’ has turned in to my best friend and I use it for a lot of my design work. Audiobooks have also been so useful, especially stuff written by Daniel Priestley. What’s next for Taste Film? Next on the agenda for Taste Film is to secure some more London venues and then branch out to some other bigger cities in the UK. Would like as many people to experience it as possible and this is only possible if I conquer more areas! I will also be introducing Taste Film residentials this year, whereby people get to have the same experience alongside themed activities (think Secret Cinema), a party and an overnight stay. A big thanks to Amy – Can’t wait to see what you come up with next!